Cut peeled beets into 1/2 to 1 inch pieces. Place in a bowl and add olive oil, salt and pepper. Mix beets to coat thoroughly. Place beets on a prepared baking sheet lined with parchment paper. Place the baking sheet in the middle of the oven and roast beets for 20 - 30 minutes or until just tender. Remove beets from baking sheet to a medium size mixing bowl. Add balsamic vinegar, Bragg Liquid Aminos, chopped onion and gently mix. Cool or refrigerate before serving. 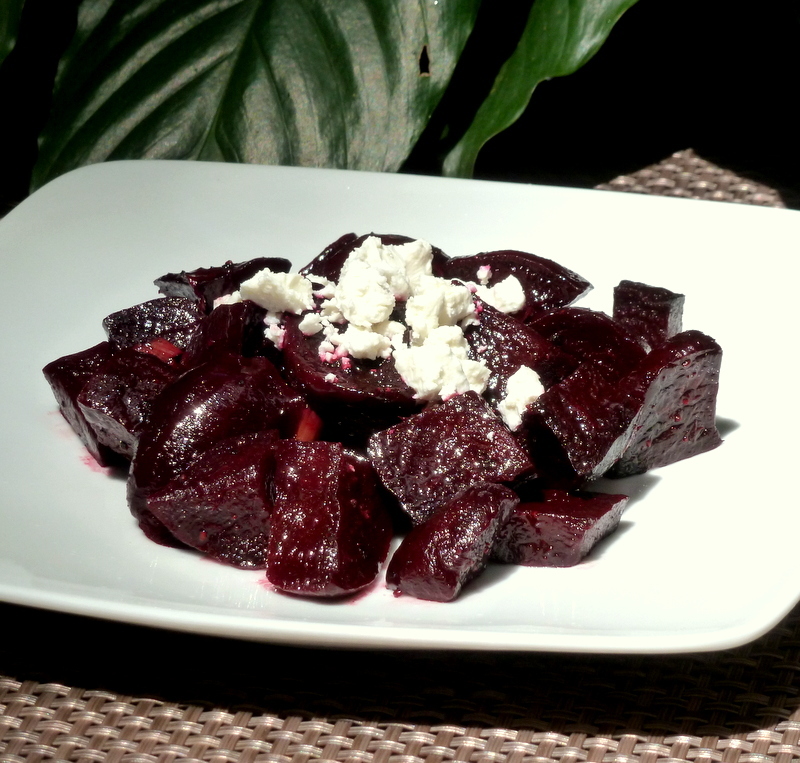 Optional serving idea - crumble feta cheese over the top of the beets.